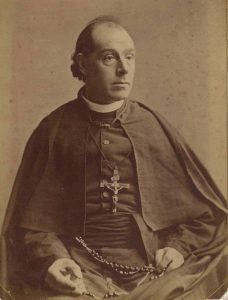 The legacy of Mary MacKillop is intrinsically connected to that of Father Julian Tenison Woods, who co-founded the congregations of the Sisters of Saint Joseph. The Josephite founding story and charism always continue to form and influence the life and work of the Sisters and their associates. Julian’s influence is evidenced in the spirituality and the passion for the mission of the Sisters and their ongoing awareness of and commitment to the environment. Father Julian is a person worth getting to know. This truly remarkable man was a well-respected geologist, botanist, explorer and environmentalist. He wrote many scientific books and articles documenting the history, exploration and geological formation of Australia. As well he was a deeply spiritual man, a composer of religious songs, a writer of poetry and the first Director of Catholic Education in South Australia. Father Julian also founded the Sisters of Perpetual Adoration (Brisbane) who are now aggregated to the Sisters of Saint Joseph of the Sacred Heart.